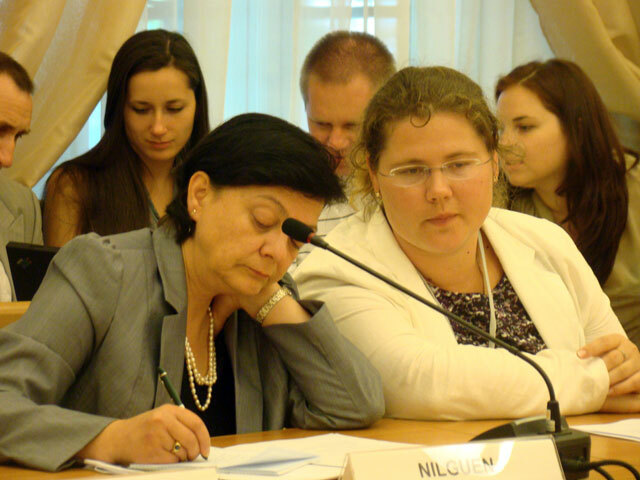 The Seminar "Concept of the Foresight-Center development in Ukraine - nationwide network of foresight for exchange and monitoring" of United Nations Industrial Development Organization (UNIDO) was held at National Technical University of Ukraine "Kyiv Polytechnic Institute" on June 29-30 - press-service of NTUU "KPI". The seminar was dedicated to the creation of a National Foresight-Center at the NTU "KPI". The main purpose of the national Foresight Centre is to create a set of measures for development and implementation of national economy scientific foresight techniques in its individual sectors and enterprises. By applying the methodologies of forecasting, human resource development and promotion of international cooperation in this area, Foresight-Center will provide support and assistance to the Government of Ukraine in developing and implementing national scientific and innovational programs. It is also expected that it will provide advisory services in the prediction methodology. At the plenary meeting of the scientific seminar, participants talked about importance of Foresight-Center as one of the most effective tools in decision making, not only for Ukraine, but also on regional or local level also on the level of individual enterprises management. Participants discussed some general issues concerning development of Foresight-Center and shared their experience of similar structures activity in other countries. In the breakout sessions participants discussed peculiarities of cleaner production (the so-called "green industry") and their implementation in Ukraine, the issues of education for sustainable development, ways of using the methodology and data of Foresight-Center for solving problems of the real economy, regional and municipal development; modernization of certain industries and so on. Among the participants of the seminar were Deputy Head of the State Agency for Science, Innovation and Informatization of Ukraine Viktor Ivchenko, Deputy Minister of Agriculture and Food in Autonomous Republic of Crimea - Olga Shevchuk, Adviser to the Minister of Economic Development and Trade of Ukraine Lyudmila Musina, head of competitive ability, modernization and UNIDO Partnership Nilhen Tash, UNIDO expert Tatiana Chernyavska project coordinator from the Swiss Agency for Development and Cooperation Svetlana Gryshchenko and representatives of research institutes, national and foreign non-governmental organizations, the activities of which include the issues on innovation, scientific and industrial development.